Check out this awesome blog. Kristen usually blogs for writers, but this one is highly relevant to all readers too! Check it out. Today I’m taking a break from the usual programming to ask for your help. Yes, you. As you may know, I’m a pretty new author. I have two books out, and I self-publish. I put in the time and money to make sure I did it right, too, and the end result is two books that I’m very proud of. Unfortunately, most people have never heard of them. So here’s what I’m asking. If you read my books and liked them, could you leave a review? You can leave it anywhere you like: the platform you bought the book from (like Amazon), or on other sites (like Goodreads). Reviews are SO important for new authors. When readers look at books, they want to know what it’s about, how much it costs, and how other people liked it. I can control the first two, but the last one is entirely up to you. If you feel like sharing my books with your friends, that would be totally awesome too. And if you’ve never read (or heard of) my books, please check them out. And The Wolves Danced is a free short story/teaser preceding my two novels, Calling On Fire and Fire Within. 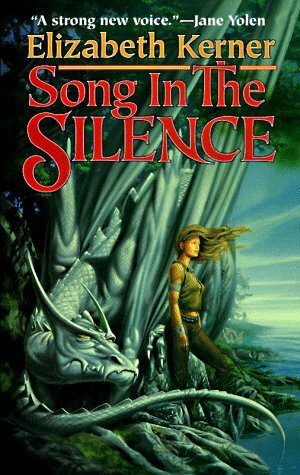 If you like fantasy, check them out! And if you do check them out, or you do leave a review: thank you. It isn’t easy trying to make a go of it as a new author. Writing full time is my dream, and it’s one that you can help make happen. 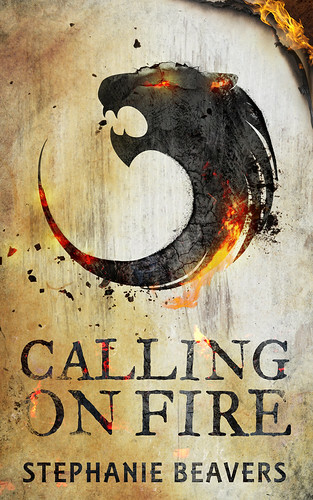 The sequel to Calling On Fire is finally here! Fire Within is now available! Two brothers with magical abilities must defeat the evil mage who seeks to annihilate them and everyone they’ve ever known. For now, the novel is only available in ebook form, but I’m working hard to get it printed as well! Multiple formats are available through Smashwords. Other retailers will become available as Smashwords distributes them. Toman and Esset, the Animator and the Summoner, sacrificed everything in their battle against the evil mage Moloch, and they still failed. Even so, they’re not willing to give up. Not that they have a choice: Moloch has fixated on inflicting suffering on those they love. Tseka, a Nadran warrior, has thrown in her lot with theirs. Her race of snake-like people are once again at risk from the evil mage’s cruelty. She’s just not sure she has the strength to be more help than burden. Can Tseka keep up with the brothers, or will she end up a casualty of war? Erizen, the mercurial mage, has joined their team as well. His knowledge and power are invaluable to Toman and Esset. The only problem: they can’t be sure they can trust him. Will Erizen fight at their side, or will he betray them before the end? Toman and Esset have new allies and new abilities, but also new scars. Toman’s very soul is crippled. Esset’s new-found power is unpredictable at best and deadly at worst. And Moloch’s power has only grown in turn. How can they hope to win when the most powerful mage in existence can now call upon the powers of death itself? Fire Within: the cover revealed! Thank you very much to Damonza.com for this amazing cover for my upcoming book! Look forward to the novel soon! If you want to be notified when this book comes out, sign up for my mailing list! New Release: Calling On Fire! Calling On Fire is now available! Two brothers with magical abilities seek to stop an evil mage but find the fate of an entire race in their hands. For centuries, the evil mage Moloch carved out a swathe of destruction, creative in his use of torture, oppression, and outright slaughter. Families, towns, and even whole kingdoms fell before him. But in one village, one boy survived. Esset’s adopted brother Toman is that boy. Scarred by the tragedy, the two boys swore to stomp out evil when they grew up. Now adults, they travel the world, seeking out evil wherever it may lurk. Esset can summon fiery creatures from beyond their world, and Toman can make inanimate objects come to life. Together, they look forward to the day that they’re strong enough to take on Moloch himself. With every battle they grow stronger, but Moloch’s reach is greater than they imagined, and his minions lurk in the most unexpected places. If Toman and Esset can only barely survive the battles against Moloch’s creatures, how can they hope to stand against the mage himself? Will they be strong enough to defeat him, or will Esset have to choose between his promise to end evil… and his own life? Life and the Upcoming Publication! Well folks, I have some exciting news. Calling On Fire is going to be released soon! We’re in the final stages of editing, and most everything else is prepared as well, so the ebook should be released this month! Now, because publishing is complicated, I’ll be taking a bit longer to get the print version out, but I’m still hoping for next month, before Christmas. As you might imagine, I am insanely excited for this! Weeeeeee! Sorry for the short update! Have a great day! 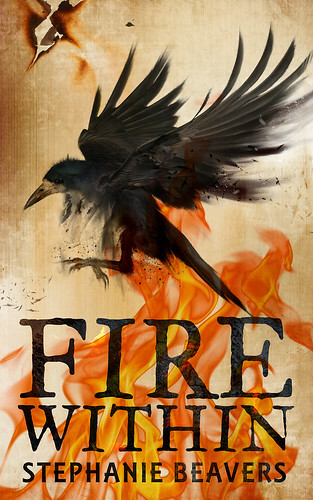 Calling On Fire: The Cover Unleashed!